If you were previously after a cheap, uncomplicated and secure international money transfer experience – something in line with our modernised world of Uber-like convenience – you may have been in for a lengthy, frustrating search. However, DigitalX Limited (ASX: DCC) is looking to appease your frustration through a monetary transaction tool, known as AirPocket, that allows anyone with a smartphone to convert physical cash to digital money, which can then be converted back into local currency in a different country. Not just that – AirPocket can also pay bills, top up phone credit and purchase goods and services from the other side of the world. When consider cross border money transfers are growing exponentially, with mobile phone transactions forecast to hit $1.5 trillion by 2017, DCC’s easy to use AirPocket product could resonate with large customer bases. Essentially, DCC’s AirPocket was developed as a remittance application and is the only Blockchain enhanced top-up, bill pay and money transfer application in the world today. As such, AirPocket has attracted the attention of some major telco operators including UniTeller and AT&T Mexico. If you have been following the DCC story, you will know that the company’s deal with AT&T Mexico allows consumers in the US to use AirPocket to transfer funds directly into the mobile accounts of users on the AT&T Mexico network. DCC earns a commission on the value of mobile top-ups which range between US50 cents and US$50. Meanwhile, DCC’s agreement with UniTeller gives AirPocket licensing and access to an established network of 17,000 cash out locations in Mexico alone, including Walmart, large retailers and Mexico’s major banks. 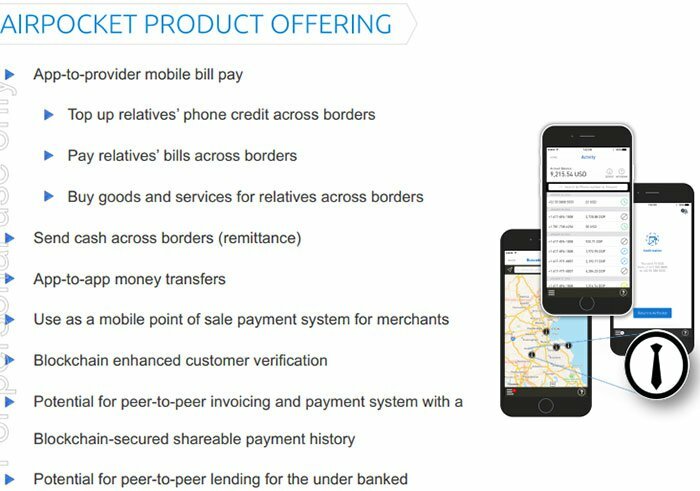 The integration of AirPocket into UniTeller’s remittance network has been successfully completed, and with the money transfer launch confirmed for Saturday March 4th, it will allow users to process remittance transactions to over 40,000 cash out locations across Latin America and Asia via UniTeller’s sprawling network. It should be noted here that DCC is still in the early stages of its progression and investors considering this stock for their portfolio should seek professional financial advice before making an investment decision. Since we last caught up with DCC, the company signed another major agreement with Paykii Inc., a major provider for Latin American Bill-Payment coverage. Through this agreement, AirPocket users will be able to pay electricity, telephone, internet, cable, water and gas bills from their mobile phone, with the service covering the largest utilities providers in the country. The service is scheduled to roll out in Q2 2017, again just a month or two away. It has been a big few months for DCC. 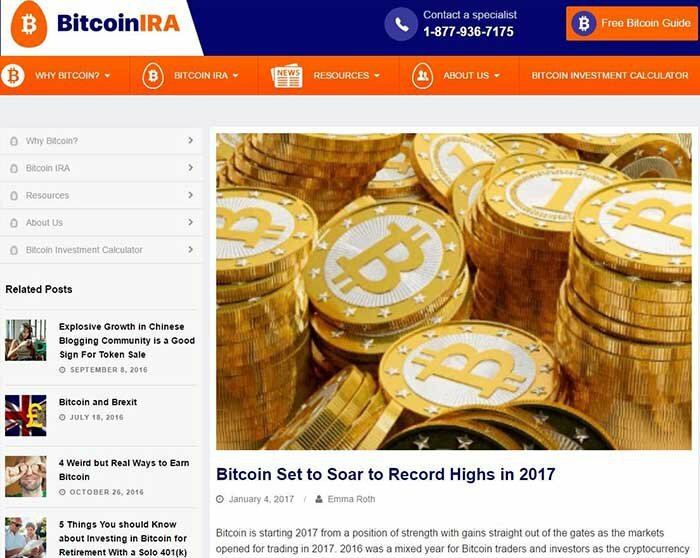 While generating over $2 million in revenue for the last quarter, despite a slight downturn, DCC is reviewing its Bitcoin operations, instigating discussions with interested parties to leverage the knowledge, trading platform and customer base of its original DigitalX Direct service, in the hope that it can substantially grow its revenue base. With interest in AirPocket growing daily, DCC is now looking at the best ways to utilise its Bitcoin technology. DCC has entered into a binding revenue sharing agreement with Australia’s largest Bitcoin exchange, which will see the company wind down its DigitalX Direct operations by introducing these clients to BGL, and in consideration it will receive 50% of all revenue for customers introduced to the BGL digital currency exchange, as well as on other international exchanges that are rolled out over the next five years. That’s a great deal for the company as it turns its attention to rolling out further AirPocket agreements. 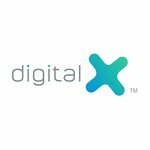 Digital X Limited’s (ASX:DCC) AirPocket app can already top up mobile phones in Argentina, Colombia, Costa Rica, Ecuador, El Salvador, Guatemala, Mexico, Nicaragua, Panama, Peru and Uruguay. But DCC knows there’s a far larger addressable market than what it currently has access to... so it has plenty more marketing to do. This start-up tech company – with a market cap of $8.4 million – is only just getting started with its remittance app AirPocket. The future is looking brighter financially as well after the company successfully raised AU$1.62 million via a share placement to sophisticated investors. A Share Purchase Plan to institutional and sophisticated investors also raised over $200,000. The final piece of the financial puzzle has been to restructure the business saving US$1 million (AU$1.2 million). DCC intends to use the funds for marketing activities through its partner network and targeted online channels. It also needs the cash to continue the integration of AirPocket with its money transfer partners, a key element of its growth plan. These moves are part of DCC’s focus on streamlining its business model, saving money and generating positive cash flow as soon as possible. We first introduced you to AirPocket in the article ASX FinTech’s Blockchain Technology Opens $600BN Remittance Market , where we looked at DCC’s initial Latin America push, and its prospective markets such as the Caribbean and Asian markets, both ripe with working-aged people living and earning money abroad. These markets alone represent about $384 million... while the global remittance market was closer to $600 billion-plus in 2015. Of this, $436 billion was received by people living in developing countries. So how does DCC offer a money transfer solution that is more convenient, less expensive and quicker? It has something to do with blockchain technology – a term you may be familiar with by now, thanks to the popularity of Bitcoin – and the way it is utilising AirPocket through blockchain technology to meet this growing remittance demand. As we indicated above, AirPocket is designed to provide consumers with the ability to securely and cost-effectively make cross border payments and send remittances in any currency, from anywhere, anytime, regardless of transaction size. DCC’s deals with AT&T Mexico and UniTeller has enabled the company to improve its AirPocket offering and the team is now driving hard toward the launch of a suite of new features. This includes a full re-branding with an updated look and feel, new logo, and a revamped user interface integrating Latino-focused messaging and aesthetics. In preparation for the formal launch of the full-features app, the team has been working on a simpler, friendlier experience for users. Once launched, it will represent the only money transfer product in the world utilising secure Blockchain technology for mobile top-ups, transfers and bill-pay. As part of the lead up, DCC’s in-house tech team is finalising integration with UniTeller, Latin America’s leading remittance payment processor. Once this is complete, there will be 40,000 locations across 14 LatAm countries (plus Vietnam and the Philippines) to exchange AirPocket money transfers into cash – instantly. This adds to the 400 million mobile phone accounts in the region that AirPocket can already top up from US users thanks to its existing partnerships. Of course, how many of these users DCC can attract and generate revenue from remains to be seen and thus investors should take a cautious approach and not base their investment decision on this information alone, but on all publicly available information. The DCC team is currently developing a full six month marketing plan to push the product in front of as many markets as possible, and to get feedback on user experiences for continual improvement of the app. Delivering safe and convenient financial services for the millions of people who are currently ‘unbanked’ in certain regions of the world, is a huge undertaking by DCC – however it appears confident of commercial success. To help drive sales, the team conducted a nationwide search for a top Latino-focused marketing agency with one foot in LatAm and one in the US. The search led to engaging PintaUSA, a marketing agency driving ads, PR and Latino-focused marketing for some of the country’s most loved brands: the NFL, Facebook, UFC and T-Mobile, among others. PintaUSA reportedly only selects a few start-ups to work with each year... so it’s quite a boon for the company at this stage of its growth. As a launch partner, PintaUSA could be perfect for DCC. This will mean AirPocket will receive airtime on Latino social media channels, radio and in thousands of bodegas in Latino communities across the US. To complement these efforts, AirPocket will also gain a momentum boost through the re-launch of Telefonica’s (another of DCC’s partners) marketing campaign in Mexico. Whilst PintaUSA is initiating AirPocket’s first major exposure to the LatAm market, DCC is also in the process of developing its own digital marketing channel which will build trust and brand recognition via its social media channels. This includes educational information on immigration, social integration, financial literacy, and political environments. This sector of the market appears underserved by DCC’s direct competitors, and this type of content should add substantial value and drive organic growth. You would expect this to significantly reduce customer acquisition costs since installs will be less dependent on paid marketing campaigns. Also with the captive audience in a niche market, underbanked consumers seeking financial services, this digital marketing channel may prove to be a revenue generator in its own right. It has been all guns blazing for DCC, but this is just the beginning of its race. In December 2016, DCC announced a deal with Paykii Inc. to complement those companies already in its embrace. 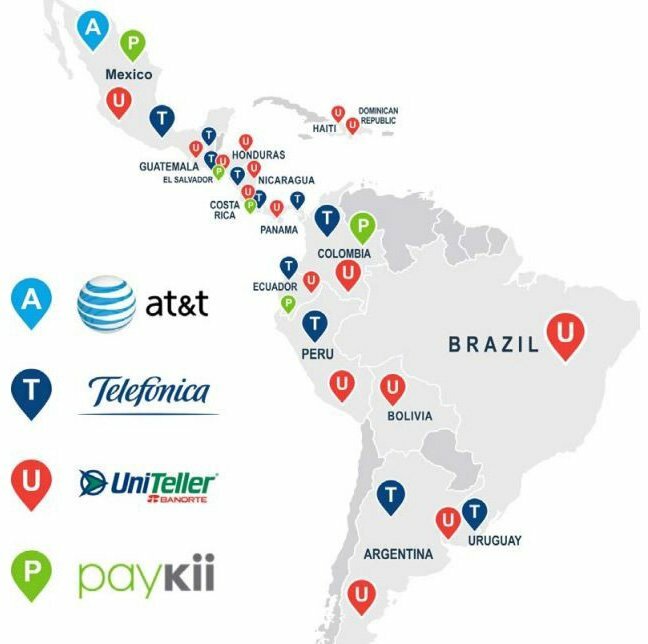 Paykii is a the leading provider for Latin American bill payment coverage and the agreement will enable AirPocket users to pay electricity, telephone, internet, cable, water and gas bills from their mobile phones. In just a few short months, users will also be able to make 24/7 balance enquiries and payments, and importantly, the service will cover the largest utility providers in the country. The Paykii deal now gives DCC the ability to focus on mobile top-ups, money transfer and Bill Pay as AirPocket rolls out across Latin America. While sales have yet to reach substantial levels through top-ups, DCC expects this to turn around significantly when the money transfer service takes hold in the first quarter. In fact, the following months could prove quite lucrative as DCC has now entered into a revenue share agreement with Australia’s largest bitcoin exchange. DCC has reinvigorated its original business – DigitalX Direct – with a new platform and a new five year agreement with Blockchain Group (BGL) to use DCC’s product for Bitcoin trading . Considering Bitcoin has been soaring to new highs, DCC saw an opportunity to jump back in to where it all began. Through DCC’s technology, customer base and compliance protocols, the DigitalX platform is designed to provide a ‘best in class’ of digital currency trading to wholesale traders the world over. While interest in AirPocket is growing daily, DCC is looking at the best ways to utilise their DigitalX platform and has entered into a binding revenue sharing agreement with Australia’s largest Bitcoin exchange. The agreement with Blockchain Group will see DCC wind down its DigitalX operations, which may seem contrary to what we have just discussed, but entails DigitalX Direct introducing clients to BGL, and in return receiving 50% of all revenue for customers introduced to the BGL digital currency exchange, as well as on other international exchanges that are rolled out over the next five years. Through its partnership with BGL, DCC will centre its attention on customer introduction, sharing of compliance procedures and recommendation around technology best practices and service providers. The CEOs of both companies see enormous synergies, particularly as BGL look to grow beyond Australia to become a global Bitcoin exchange. Now may be a good time to jump on-board this zippy little tech train. The current share price could represent significant value if AirPocket enjoys the international success DCC is envisioning. With recent US political events and President Trump’s travel ban, accessible money services designed to provide security and peace of mind to immigrants creating new lives – and prosperity for individuals and family – has possibly never been more important. While it seems unlikely at this stage that a ban on immigration from LatAm will be implemented by the US government, immigrants working in the US could be growing increasingly anxious about finding a safe, affordable way to share their earnings with loved ones in their home country, while they still can. Any broad scale upheaval of immigration across the world will only increase the need for the sorts of services DCC is offering with AirPocket; a point of ease, safety and certainty that has a direct impact on people’s livelihoods is an excellent selling point when uncertainty reigns. DCC has the potential to move into providing basic financial services for underbanked regions by allowing users to selectively share these transaction records with financial institutions. The AirPocket model could also be used by small vendors in unbanked regions wanting a simple, inexpensive means to sell items electronically. According to a report by the Financial Access Initiative and Innovations for Poverty Action 2.5 billion adults worldwide do not use formal financial services to save or borrow money – and that presents a clear opportunity for DCC down the track. In other recent news, DCC filed global patents and trademarks for AirID... which indicates it could really become a backbone of future business outsourcing. In fact, an Australian start-up providing single digital source for business and consumers to manage qualifications has signed a Memorandum of Understanding to leverage AirID. DCC has hinted at white labelling the product to be used for personal banking, auditing, data transmission, information hashing, accounts settlement and more. Any deals that may come from DCC’s white labelling strategy are speculative at this stage and investors should seek professional financial advice for further information about this company. There’s also the potential for AirPocket to be used to build an official credit history, and thus greater financial inclusion for those in ‘underbanked’ regions. In DCC, we have an ASX-listed fintech junior expanding and perfecting multiple service offerings, while simultaneously increasing international reach through a growing list of partner networks. The inefficiency of transferring money overseas has cost people time and money for decades now – but because it’s an ongoing necessity for millions of people worldwide, the market has not shrunk but grown. DCC isn’t waiting in line for a piece of this pie. It might be more accurate to say it’s bought out the shop, and is now offering better pies for a fraction of the cost. We could well be witnessing DCC at a crucial tipping point on its remittance roll-out journey, presenting opportunities through its AirPocket app that opens up a lot of blue sky.